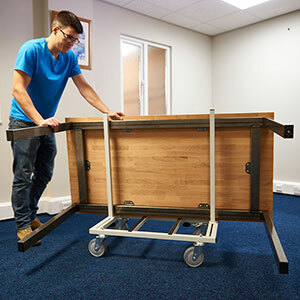 Have you ever found yourself in the seemingly impossible situation of having to move large awkward objects, for example; tables, desks, beds or noticeboards when you are on your own? 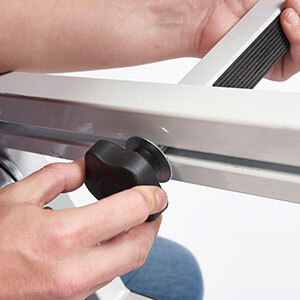 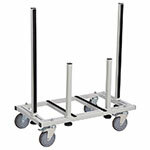 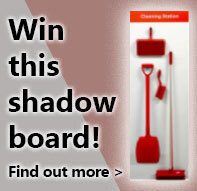 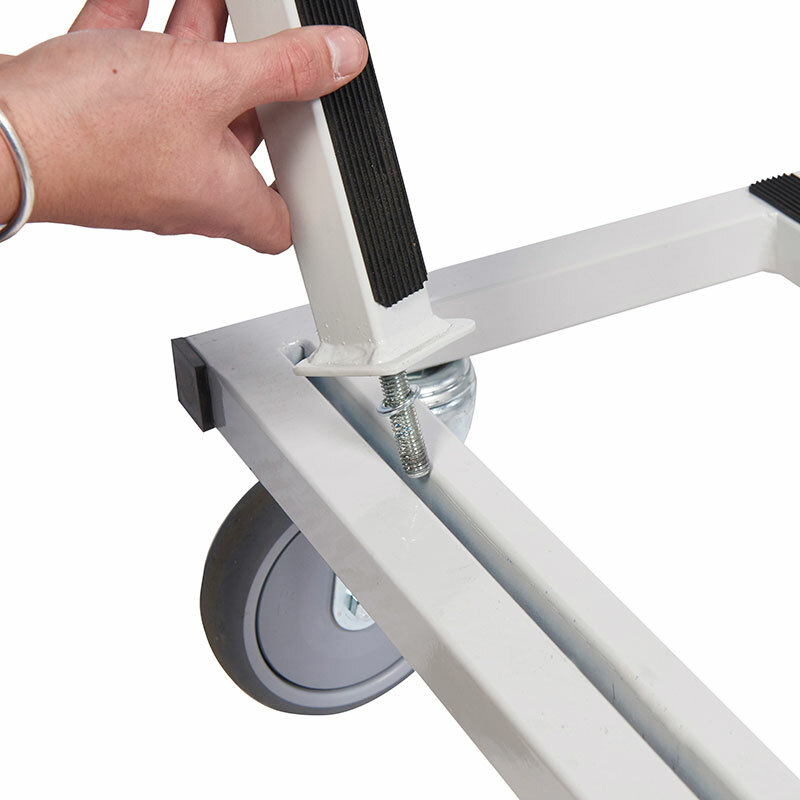 If so, this versatile heavy duty furniture mover could be the answer to the problem. 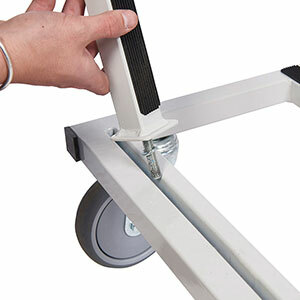 The clever design allows you to mount the object to the trolley then you tip the trolley (and object) through 90° release the brakes and away you go. 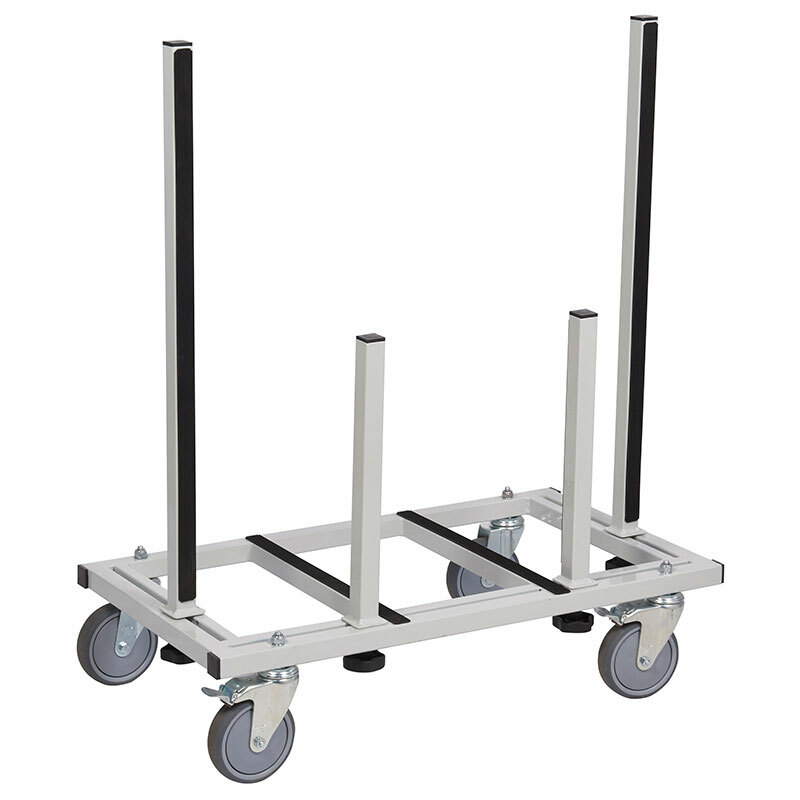 The 4 posts are easily adjusted to accommodate a variety of different sized objects and have rubber strips to prevent damage, you can even remove the posts completely to convert to a flat dolly.